New Delhi, Apr 10: The richest candidate contesting the Andhra Pradesh assembly elections is Krishnaiah Bollineni and he is worth Rs 689 crore. Contesting on a TDP ticket from Atmakur, Bollineni has declared movable assets to the tune of Rs 6,56,25,68,895 and immovable property worth Rs 33,42,04,443. His total assets are worth Rs 6,89,67,73,338 says a report by the Association for Democratic Reforms. Hyderabad, Dec 4: Out of the 1,777 candidates analysed in the Telangana assembly elections, 368 have declared pending criminal cases against them. The big focus in the report put up by the Association for Democratic Reforms was the 883 crorepati candidates who will be fighting the Karnataka assembly elections. The report analysed the affidavits of 2,560 candidates. 11 out the 12 ministers in the newly elected Nagaland assembly are crorepatis. A report prepared by the Association for Democratic Reforms states that the average assets of the 12 ministers are at Rs 7.86 crore. One thousand four hundred and fifty seven crorepatis contested the Uttar Pradesh assembly elections. The richest candidate is Nazir Ahmed of the Congress who has declared assets worth Rs 211 crore. He is followed by the Shah Alam Urf Guddu Jamali of the bahujan Samaj Party with assets worth Rs 118 crore. Third on the list with assets worth Rs 114 crore is Satish Kumar Sharma of the Bharatiya Janata Party. Kolkata, Apr 13: Ace footballer Baichung Bhutia contesting on a All India Trinamool Congress ticket from the Siliguri constituency is the richest candidate in phase two of the West Bengal Elections. A report by the Association for Democratic Reforms and the West Bengal Election Watch states that in phase two of the polls there are 56 candidates who are worth over Rs 1 crore. 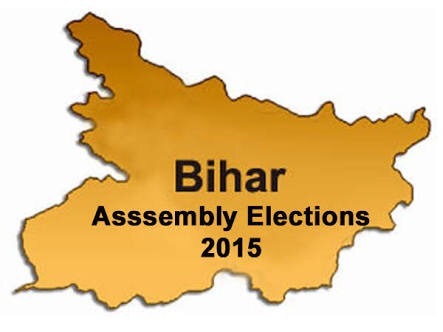 In the fourth phase of the Bihar elections, the richest candidate is worth Rs 22 crore while the candidates with the lowest assets is worth Rs 2,000. The second richest candidates is worth Rs 22 crore while the candidates with the second lowest assets is worth Rs 6,000. An analysis conducted by the Association for Democratic Reforms states that there are 17 candidates who are worth over Rs 10 crore while 20 have assets more than Rs 5 crore.